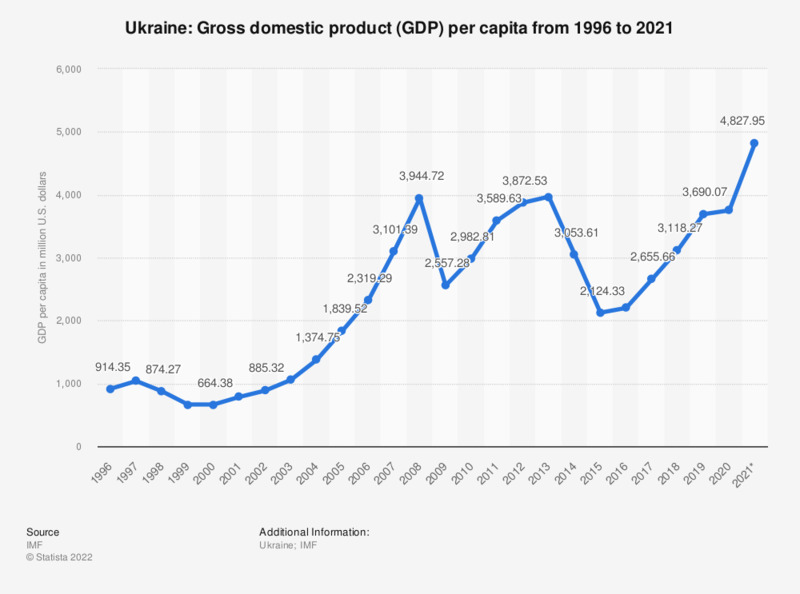 This statistic shows the Ukrainian gross domestic product (GDP) per capita from 2012 to 2016, with projections up until 2022. In 2016, Ukraine's GDP per capita amounted to approximately 2,200.85 U.S. dollars. Would you support or oppose imposing additional sanctions on Russia? In your opinion, which political system is the most suitable for Ukraine? United States: How closely are you following the news about Russia's involvement in the situation in Ukraine? In your opinion, do you think the U.S. is being too tough, not tough enough, or about right in dealing with Russia on the issue of Ukraine? Ukraine: Do you feel that Russian-speaking citizens of Ukraine are under pressure or threat because of their language? Ukraine: Do you have confidence in the national government?